Mike brings over 30 years of experience in the acquisition, asset and property management, and development/redevelopment of Multifamily real estate. Mike is responsible for overseeing the existing Sunroad Multifamily assets and will be the key person responsible for growing the platform through both the acquisition of existing assets and seeking strategic development opportunities. Previously Mike served as a Senior Director of Asset Management at Arenda Capital Inc in Beverly Hills and as Multifamily Advisor to Loma Linda Universities $1b endowment fund. Through these affiliations Mike assisted on the acquisition and renovation/development of some 8000 Multifamily units over a 3 year time period. 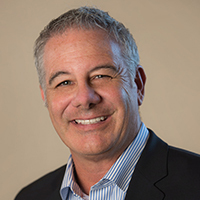 Previous to Arenda Capital Mike served 7 years in various executive capacities with Riverstone Residential Group to include Executive Vice President, Western Division President, and Chief Client Services Officer. Mike was responsible for the oversight of up to 80,000 Multifamily units in 7 states. Mike also served 3 years as Senior Vice President at Watermarke Properties in Los Angeles, 10 years as President at Interland Corp in San Francisco and 10 years as Chief Operating Officer at FPI Management Inc in Sacramento, Ca.